We just went on our first Adventures with BeeGee monthly hike with supporter Linda! The trip was short, but fun nonetheless, and know we know what a cool location Pace Bend is. 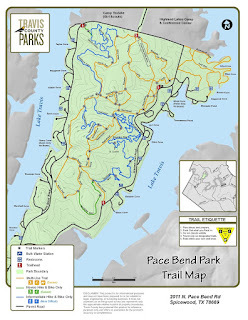 Info: Pace Bend Park is a Travis County Park and sits on the shores of Lake Travis. The park has 9 miles of lake shoreline, limestone cliffs, rocky alcoves, and over 15 miles of multi-use trails. If you want to bring a pet (aka your best bud), they are allowed as well on leash. 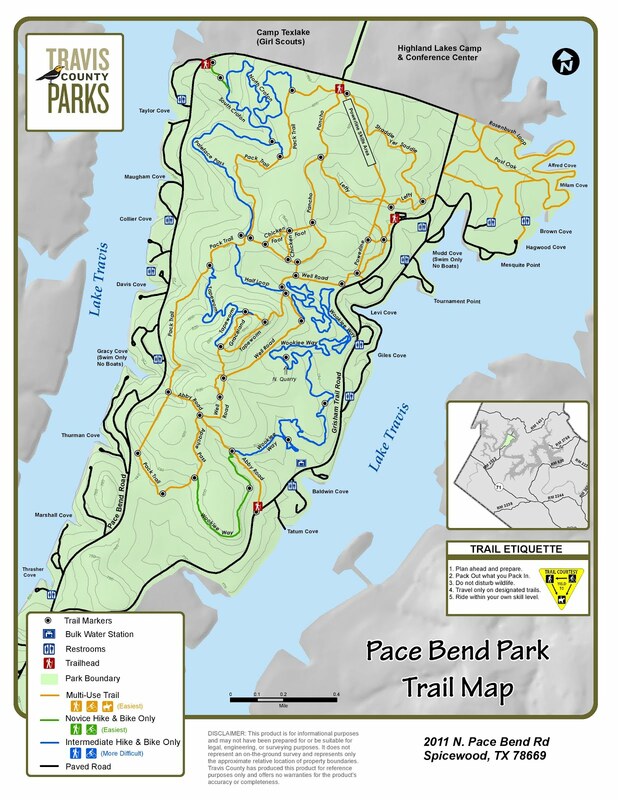 Pace Bend Park is about 1 hour from North Austin, and the drive takes you through the gorgeous Texas Hill Country. If you enjoy a swerving, up, and down road then the trip will be a blast. If you get car sick easy, plan your route carefully and stick to larger roads. Once we made it to the park, we quickly learned that they are CASH ONLY, so make sure you have enough on hand. We had to pool some dollars and car change to come up with $10 entrance fee. We asked the attendant the best location for a hike and she recommended the northeast corner, and that’s where we headed. Unfortunately, the park lacks signage for parking or trailheads, so we just picked a random spot in the grass close to where we wanted to start our hike. With all our gear ready, we took off towards the shoreline, and as we walked along Lake Travis, there were multiple cars pulled up on sandy beaches just hanging out. We ended up just paralleling the shoreline, which allowed us to just enjoy the lake and watch a few birds like the cattle egret and an ardea. We eventually found a nice spot along the lake for a group photo and just hung out for a bit, which was difficult because the sun was overhead. After that, we saw a giant downed tree and I knew Angela and BeeGee would love to check the smells out around the tree. It turned out this area was full of sticker burrs and the girls were not a fan. The going was slow through this area and it ended up being easier to just carry Angela back to safety. Having hiked for a few hours, we decided it was time to go find some lunch. We didn’t explore a lot of the park, but this is now a place on the radar for a weekend trip! Let us know about that park that is nearby, but you just haven't made it there yet? Let us know in the comments. Also, if you like the blog or our videos, check us out on Patreon.